Private Security Sector employs over 70 lakh individuals who are the source of livelihood, support and security for over 2 crores 80 lakhs dependents. 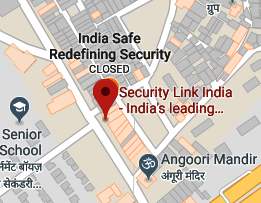 Almost all security guards belong to economically weaker section (EWS) of the society and often live in slums and destitute due to their very low wages. The security guards who are ever ready to safeguard all, are themselves constrained to live in the most insecure environment. They are deprived of even their bare fundamentals of life including the basic civic infrastructure, social amenities and decent shelters; albeit they deserve them the most. The recent up gradation of the status of the security guard from an ‘unskilled person’ to a ‘skilled worker’ has brought tremendous motivation, and pride in the profession of guarding in terms of remuneration and standing. The skill ecosystem and policy interventions by the Government have made a holistic impact on the security workforce by empowering them to break through the poverty trap successfully. Central Association of Private Security Industry (CAPSI) launches affordable housing for these security guards under ‘Rakshak Awas Yojana (RAY)’ – offering home for every security personnel under Pradhan Mantri Awas Yojana. CAPSI through its State Chapters has announced to form co-operative societies in multiple metros/ cities by availing the benefits under Pradhan Mantri Awas Yojna for constructing houses through public-private partnership (PPP). In the endeavor to provide shelter to every security person, an MOU has been signed with Golden Gate Projects, a Bangalore-based company, and CNTC India Company Limited for multiple housing projects – first one to start with the construction of 5000 dwelling units at Mysore, which would also act as a pilot project to assess the demand for these ventures. “We are hopeful of getting the good response from prospective buyers since the houses will be priced competitively compared to private ventures. Moreover, our guards can avail government subsidy under Pradhan Mantri Awas Yojana with an easy pay back scheme through monthly installments,” said Mahesh Sharma, General Secretary, CAPSI. V.V. Katti, President of CAPSI expressed his happiness for the pilot project being initiated at Mysore in Karnataka State. He intimated that the delegation of Karnataka chapter of CAPSI will meet Mr. Siddaramaiah, Chief Minister of Karnataka, and request him to launch similar housing projects near Bengaluru and other towns in the state so that security guards may able to get affordable houses to live.